After spending two weeks in San Diego, visiting family for the holidays, it's good to be back in Princeton. I have a little break from school (by break, I mean opportunity to pick up more hours in the Mail Room) until later in January. During the break I'm planning on getting through a couple of books before I have to start reading the required stuff. 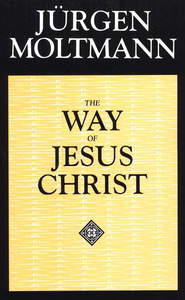 I've already made some progress through Jürgen Moltmann's The Way of Jesus Christ, from which I am learning a lot. I haven't decided on which book I'll read next yet... so I figured I'd ask for help. Because money is tight, I'm limited to the books on my shelf. There're just a few which I still have yet to read? I'm either gonna read Free of Charge by Miroslav Volf, Love Your God With All Your Mind by J.P. Moreland, Nonviolence by Mark Kurlansky, My Search for Absolutes by Paul Tillich, or Red Letter Revolution by Shane Claiborne and Tony Campolo. It's an eclectic list, I know. I'd appreciate some help in deciding. If you're at all familiar with these titles or authors (or if one just pops out for you) please offer a suggestion by voting on the pole below. I'll decide in a few days based on the results. I'll be glad to offer my thoughts after I'm finished reading.